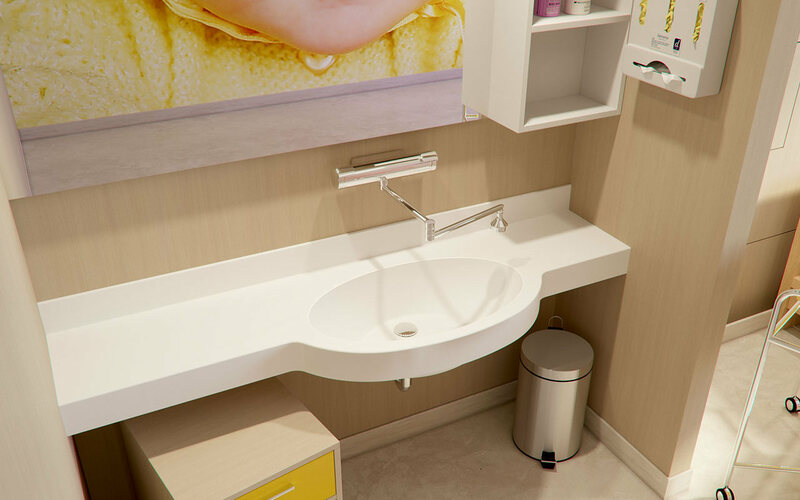 Surface washbasin with extended bowl is designed primarily for Maternity- and Postnatal rooms. Wide and deep bowl makes it a practical small bathtub for quick baby bathing. 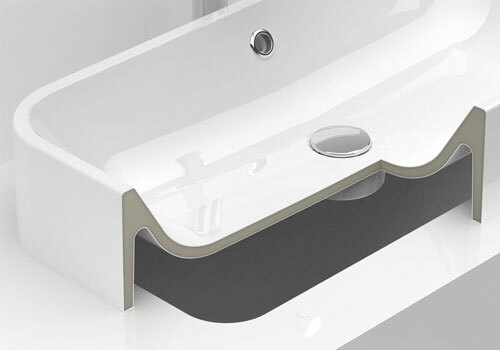 Wall-mounted washbasin with 70.75" (1800 mm) wide customizable surface. 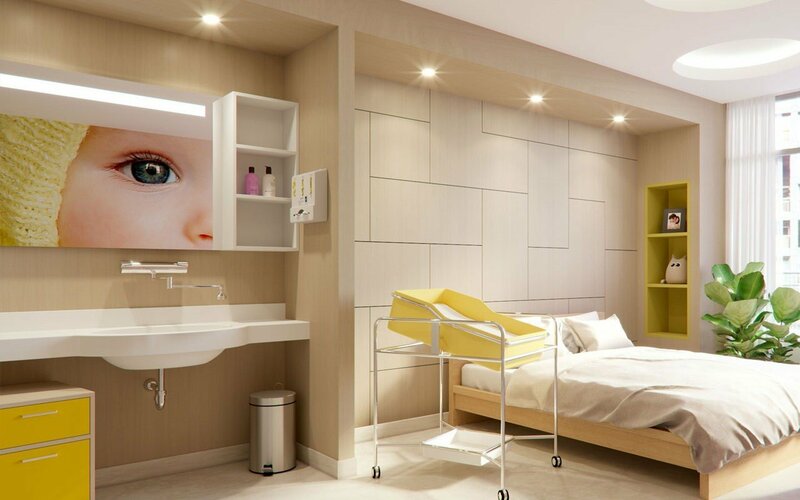 Practical back panel protects the wall from water splashes and simplifies maintenance. Front panel is perfect for integrated towel holder opening.